autosomal-dominant Alport syndrome; COL4A3; COL4A4; mutation detection. Autosomal dominant Alport syndrome (ADAS) accounts for 5% of all cases of Alport syndrome (AS), a primary basement membrane disorder arising from mutations in genes encoding the type IV collagen protein family.Mutationsin COL4A3 and COL4A4 genes were reported to be associated with ADAS. In this study, clinical data in a large consanguineous family with seven affected members were reviewed, and genomic DNA was extracted. 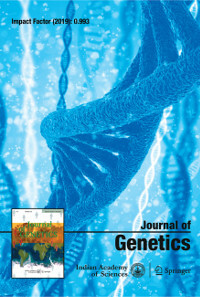 For mutationscreening, all exons of COL4A3 and COL4A4 genes were polymerase chain reaction-amplified and direct sequenced from genomic DNA, and the mutations were analyzed by comparing with members in this family, 100 ethnicitymatchedcontrols and the sequence of COL4A3 and COL4A4 genes from GenBank. A novel mutation determining a nucleotide change was found, i.e. c.4195 A>T (p.Met1399Leu) at 44th exon of COL4A4 gene, and this mutationshowed heterozygous in all patients of this family. Also a novel intron mutation (c.4127+11 C>T) was observed at COL4A4 gene. Thus the novel missense mutation c.4195 A>T (p.Met1399Leu) and the intron mutation (c.4127+11C>T) at COL4A4 gene might be responsible for ADAS of this family. Our results broadened the spectrum of mutations in COL4A4 and had important implications in the diagnosis, prognosis, and genetic counselling of ADAS.